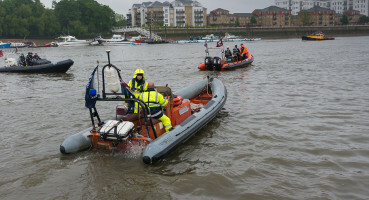 We had photographers out and about to capture some of the exciting things happening on the Thames in the run up to and during the Olympics. Click on the link below to see their photogalleries. Bridge lighting, Olympic Rings and "business as usual" on the UK's busiest inland waterway at Olympic Games time.